A federal government-commissioned report has called for TAFE to be restored to its former place in regional Australia in order to expand employment, productivity and applied research. The Independent Review into Regional, Rural and Remote Education, by Emeritus Professor Dr John Halsey has urged a review into how TAFE is funded and the way it interacts with the university sector to promote jobs and innovation outside the cities. “The conclusion I have reached is that nationally, TAFE has to be put back into the regions, closer to people, places and the heartland of much of Australia’s productivity,” the report says. It also encourages more applied degree offerings from TAFE, as well as greater applied research to facilitate transitioning into emerging fields of employment. The Minister for Education and Training Simon Birmingham said Dr Halsey’s report identified gaps and room for improvement across the education system. “The Coalition Government will consider the details of Dr Halsey’s 11 recommendations and 53 actions and where appropriate will respond to them to further complement the work we’ve already got underway to boost the outcomes of Australia’s education system,” Senator Birmingham said. See the Independent Review into Regional, Rural and Remote Education. The federal opposition has claimed that some private training providers are still engaging in illegal behaviour, despite the crackdown that followed the VET FEE-HELP scandal. The shadow minister for Skills, TAFE and Apprenticeships, Senator Doug Cameron, told the Australian Education Union National TAFE Council in Melbourne on Friday that “rent-seeking and rorting” is still occurring in the national training market. “As we meet here today there are private for-profit RTOs forging qualifications, taking large sums of money for training they don’t deliver, turning out untrained people, and destroying trust in VET qualifications,” Senator Cameron said. “There is a line of people coming to me as a shadow minister with stories of poor quality training, and equating this to the business models that are operating in the sector. “Operating in the training market is a lucrative business if you don’t care about quality,” he said. Senator Cameron said that the results of marketisation of training have led to pressure on TAFEs, with campus closures and loss of jobs, and for students, fee increases, limitations on access, and unequal treatment across the post-school sector. 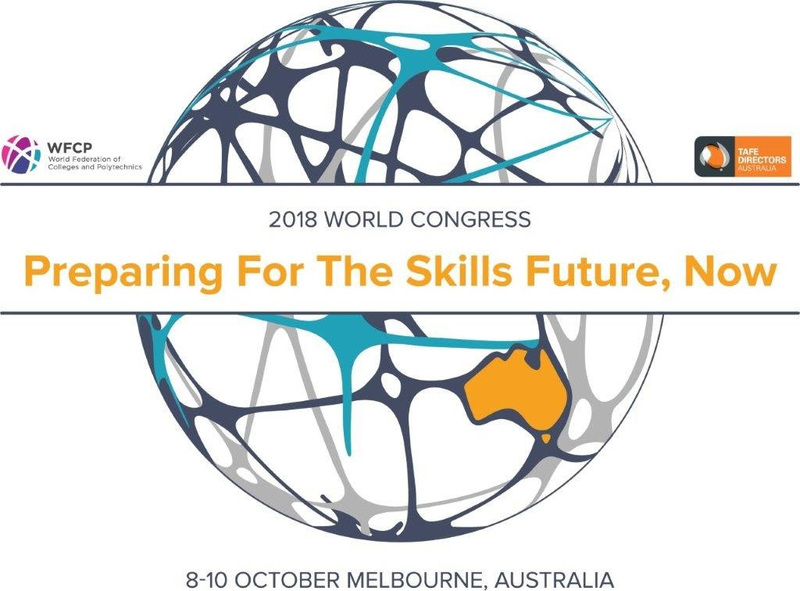 The 2018 WFCP World Congress in Melbourne in October includes unique opportunities for TVET leaders and students in the form of a Leadership Institute and the Young Leaders Camp, with information available about both events on the WFCP World Congress website. The Leadership Institute, which TDA is running in partnership with PwC’s Skills for Australia, brings leaders together to set the priorities for a future global workforce that is ready for the sweep of technology and automation. College and polytechnic leaders, policy makers, leading thinkers and WFCP association members are invited to the Institute to set out WFCP priorities and actions for the next two years. The Institute will also consider the priorities for change in delivery and support for college and polytechnic students. The Leadership Institute runs on 7 and 8 October 2018 prior to the start of the WFCP Congress. The Young Leaders Camp, which is being hosted by Box Hill Institute, will give TVET students the opportunity to shape the future of professional, technical education and training with other young leaders from around the globe. It is a residential retreat for identified young leaders from across the globe. The camp starts on Sunday 7 October and concludes on Thursday 11 October. The camp includes accredited leadership training and development which can be presented to future employers as evidence of a global perspective. Young leaders will also hear from keynote speakers from the World Congress and debate the issues central to young people succeeding in life, regardless of their circumstances. The young leaders will present their findings and priorities for action to the broader Congress audience and will make new friendships and enduring networks across the world. For further information about participating in either of these events please contact Jen Bahen at jbahen@tda.edu.au. There are 18 categories presented at the Australian Training Awards. Seven of the awards are available by direct entry, and 11 taking nominations through state and territory training awards programs. Applicants may have the opportunity to reach the national stage in November this year and gain Australia-wide recognition for the work they do. Applications for the Award are made directly to the Australian Training Awardsby completing the nomination form on the website. Applications close 31 May 2018. The 2018 Australian Training Awards will be held in Sydney on 15 November 2018. *Direct Entry for NSW and WA only. All other states and territories are to apply through their respective training awards, noting the opening and closing dates will differ for each state and territory. One of TAFE NSW’s most historic sites is to be upgraded as part of a NSW government restoration program. The iconic buildings at Newcastle’s TAFE Hunter Street campus – the heritage-listed Newcastle Technical College and Trades Hall – will be restored as part of the Minister’s Stonework Program, jointly funded by the Minister for Finance, Services and Property’s Stonework Program and TAFE NSW. 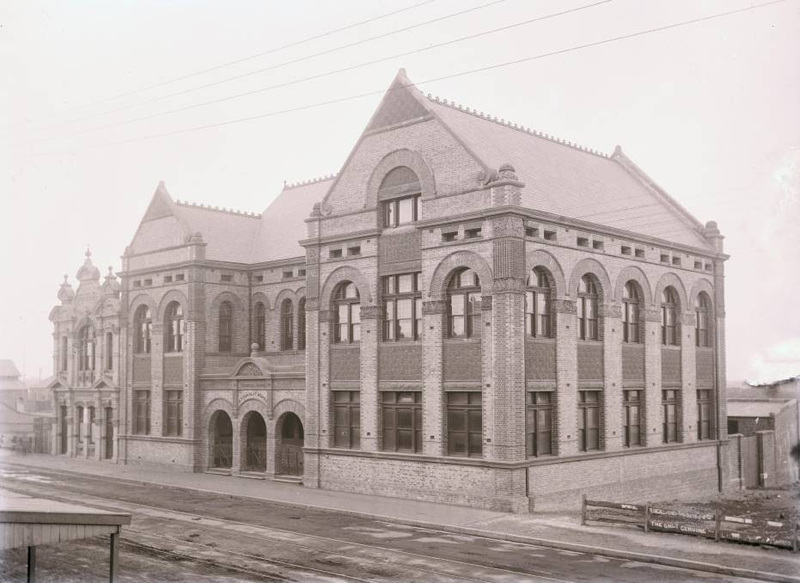 The buildings were constructed between 1894 and 1896. A dedicated team of stonemasons from the Government’s Heritage Stoneworks department will use traditional and modern methods in the restoration, using stone from a Pyrmont redevelopment site in Sydney. External works will include the replacement of deteriorated sandstone, repainting of external timber joinery and windows, restoration of the facade’s terracotta tile panels, and the re-pointing of stone mortar joints. TAFE staff responsible for delivering ELICOS programs are invited to attend the 2018 NEAS Conference. Each year NEAS hosts over 300 delegates from around the world as its annual conference. It would be a great opportunity for TAFE ELICOS teams to meet and network with other managers, directors of studies and executives, and learn from over 30 speakers from government and ELT affiliated organisations. This includes many senior staff and teachers at NEAS TAFE members. The theme for this year’s conference is ‘Beyond the Digital Revolution in ELT’ with keynote presentations from provocateurs and practitioners in digital technology, neuroscience, e-learning, game design and authentic leadership. Participants are also invited to register for morning and afternoon pre-conference workshops on Wednesday 9 May 2018. For more information about the speakers, program and ticket costs visit the conference website. Please note the special discount when two or more tickets are purchased. Time is running out to participate in the AVETRA VET Practitioner Research Conference being held in Melbourne, 26 – 27 April. It will feature international guest speaker, Jose Luis Fernandez Maure, from the Institute of Innovation and Applied Research for VET in the Basque country. In addition to his keynote address, he will conduct a workshop on entrepreneurship and research capability development. The cost is $25 for AVETRA members or $225 for non-members, with organisational prices available. Research and Evaluation Coordinator, based in Brisbane. Industry Engagement Coordinator, based in Brisbane. Regulatory Officer, based in Melbourne. The closing date for applications is 25 April. See more.